As an organization aware of the growing number of millennials in the country and the important role they play in society, the Philippine Council for the Advancement of Association Executives (PCAAE) www.pcaae.org is reaching out to the youth in promoting professionalism in association governance, leadership and management through training, networking and partnerships. 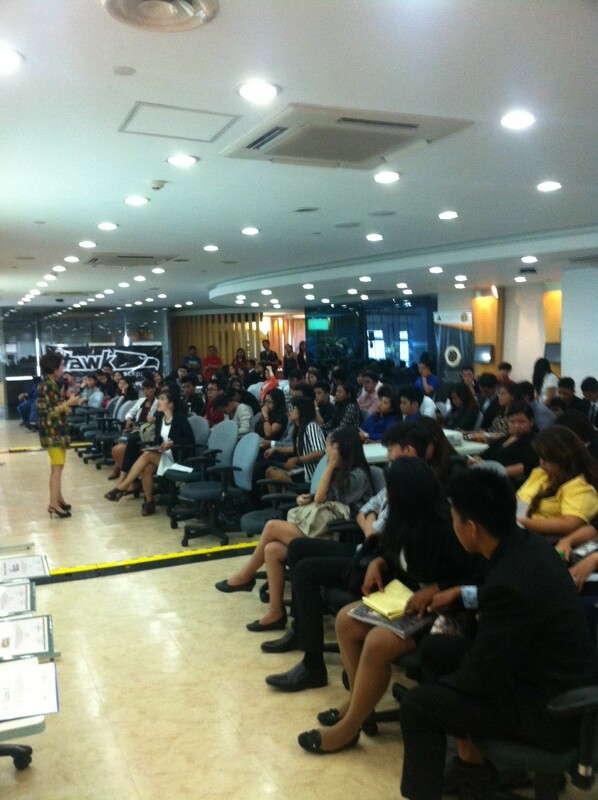 On September 5, 2015, upon the invitation of the Junior Achievement Philippines (JA Philippines) www.japionline.org, Ms. Cora Conde and Mr. Octavio ‘Bobby’ Peralta, PCAAE Chair and President & CEO, respectively, conducted short learning sessions to about 100 students and members of the Junior Achievement Marketing Society (JAMS). The event entitled, “JAMS Association Management Training, covered two back-to-back sessions on association governance and management and successful membership programs and services for junior associations. Developing a corps of professional association executives in the country is PCAAE’s ultimate goal and by undertaking professional association governance and management training at the youth level, PCAAE believes it is a very good starting point to achieving this goal. JA Philippines has members in 148 colleges and schools in the country. It is a member of JA Worldwide, one of the largest global NGOs dedicated to addressing fundamental social and economic challenges of young people by educating and empowering them to transform their future and own their economic success. Through the delivery of cutting-edge, experiential learning in financial literacy, work readiness and entrepreneurship, JA Worldwide effectively broadens the canvas of possibility for young people and enriches their ability to both engage in their own economic development as well as contribute to the strength of their families, communities and economies. The 121 country JA Worldwide network is powered by 400,000 volunteers and mentors from all sectors of society, reaching 10.2 million students around the world.